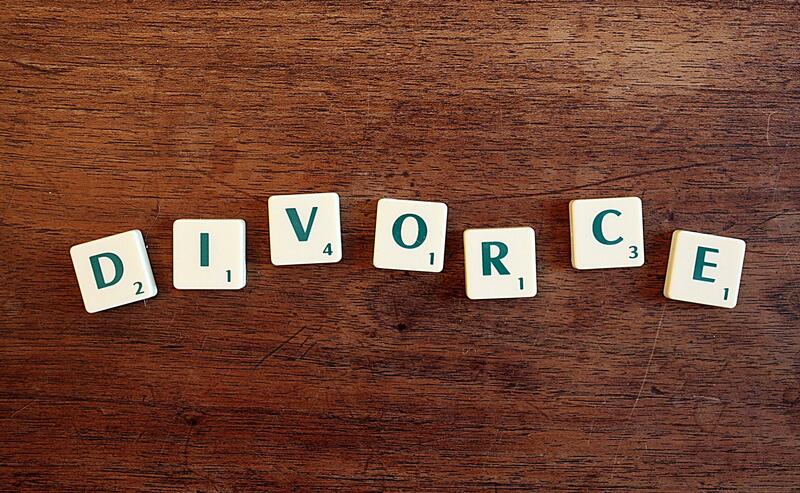 Getting divorced can be one of the most financially stressful events of your life. Actually, since your ex-spouse is also involved, divorce can have a significant financial impact on two lives—more if you have children still living with you. It’s important to keep this in mind while you’re going through this difficult process. To the extent that you can, you might be better off finding areas of common interest. For example, one spouse might want to keep the family house for a certain period of time (i.e. just until the kids finish high school). In many cases, keeping the house leaves that spouse ‘house rich, cash poor.’ There are numerous studies indicating that in many cases, keeping the house leaves the spouse in a worse long-term financial situation than if they had sold it. If you don’t arm yourself with the facts, you’ll always be in a much worse position than you could have been. This article identifies 7 questions you must answer in order to make sure you have all the relevant facts. The word ‘answer’ is underlined because it’s not enough to simply ask the question. You must actually take time to think about and research the answers to these questions. Or hire someone who will help you do so. This is a broad question that can be broken down several ways. Separate versus marital property. Generally speaking, separate property would be something that one spouse brought into the marriage, or obtained separately (like through an inheritance or a gift to that spouse only). Marital property would be everything that was obtained or earned during the marriage, or separate property that was brought into the marriage. One common mistake people make is that they erroneously assume that something is separate property, when in fact it’s marital property that they have an interest in. In other words, they short-change themselves before the negotiations even begin. Don’t do this. Assume everything from your marriage is marital property, then let your lawyer or your state’s legal system explain away the things that might be separate property. What kind of assets? House, retirement accounts, bank accounts, stuff (i.e. cars, furniture, etc.). Those are the common things. How about interest in a family business? Stock options? Deferred compensation? Those are all things that your family owns. You might get the information you need from your ex’s financial affidavit. But you might not. What might my ex-spouse be hiding? However, you might be able to identify whether your ex is trying to hide assets by looking at your tax return or your financial affidavit. While the details are better left to professionals, you can help out by giving them a little more information to start with. Short-term or long-term asset? Your best odds of post-divorce success lie in your ability to strike a balance between short-term and long-term. You want enough cash & liquidity to help you adjust to your new life. However, you don’t want to short-change your interest in a long-term asset that might grow over time, like your ex’s pension plan or a business interest. Sentimental value or real value? Some things might have real sentimental value, but no real value. Or the sentimental value that you place causes you to think that it’s more valuable than it really is. One of the best ways to ensure financial ruin is to trade away things that might have real value in order to keep something that’s sentimental. What is the tax treatment? Retirement accounts, collectibles, cash, appreciated stocks. What do they NOT have in common? They all are taxed differently. So a $50,000 Roth IRA does not necessarily have the same value as $50,000 in a 401(k). A Roth IRA can potentially result in tax-free withdrawals, while a 401(k) would eventually be taxed at your ordinary income rate. Both of which would be taxed differently from the capital gains that you might pay by selling appreciated stocks. When trying to divide your assets, it’s important to keep these things in mind. Knowing what you have is the first step in knowing what to expect. In addition to knowing what you have, you need to have a good understanding of what you owe. The nature of your debt, your ability to pay it off with your current assets, impact to your credit—these are all things you need to fully understand about your debt. Sometimes, when your marriage ends, there’s something you can’t part with. For example, in many divorces, one spouse might insist on keeping the house, even if it makes sense to sell it as part of the divorce. In many instances, a spouse might not realize what they “can’t do without” until they start divvying things up. However, if you know the important things before you start dividing assets, you’ll be in a better position to determine what you can live without. What can I do without being overly emotional? In other words, is the struggle emotionally worth it? Will not keeping it prevent me from moving forward? These are not the same question. If you’re going through a nasty divorce, your ex-husband’s 401k might be an unpleasant reminder of your marriage. But if it’s a significant amount, could you afford to walk away from it? Stock options, deferred compensation, business interests, executive bonuses—these are all things that are complicated. You might be tempted to quickly finalize the divorce and ‘move on.’ But is it moving on if you’re still struggling five years from now? Perhaps it’s worth that extra couple of months to make sure you’re getting your fair share. What do you expect support to look like? You might be the person expecting support. You might expect to pay support. This might be marital support (or alimony), or child support. Before you sign off, you need to have a clear understanding of what you can expect. And that’s something no article can walk you through. Unless you’re young, with few assets, or have pretty equal net worth & income levels, you should be asking this question to your divorce attorney. And your lawyer needs to take the time to clearly answer this question and address your concerns before you move forward? What can you do so that your finances are better one year from now? Five years? Once your divorce is final, there’s not a whole lot you can do to ‘unring the bell.’ But you can start planning for life down the road, and make sure that your divorce settlement helps you get there. But you’ve got to start planning ahead. If you’ve been out of the workforce, you probably can negotiate some sort of rehabilitative alimony until you get back on your feet. But what does ‘on your feet look like?’ Does it look like paying bills until you find a job? Does it look like going back to college? Does it look like re-taking an exam for a certification that’s lapsed? The more you can visualize your future life, the more clearly you can articulate your needs. And the more clearly you can articulate your needs, the more likely it will be that you can get what you need. What kind of professional help do I need? In relatively simple circumstances, perhaps all you need is a mediator. Or you can handle this through the collaborative divorce process, if that’s available in your state. Both of these are relatively conflict-free ways to navigate the divorce process at a minimal cost. Accountant: Forensic accountants are often hired by divorce attorneys to value businesses, track down hidden assets, or estimate the value of pensions. Therapists: There might be children who need counseling through the divorce process. Perhaps you have been through a traumatic experience and need counseling yourself. There are therapists who specialize in serving the unique needs of people going through the divorce process. Financial planners: There are financial planners who are specially trained to help address the financial challenges you encounter throughout the divorce process. You can recognize these individuals with the Certified Divorce Financial Analyst® designation.